"Self-destruction is great. It's fun. I don't plan to live to thirty." 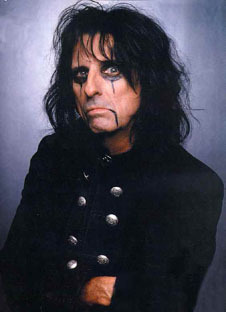 In an interview with Canadian hour.ca, quoted by Bugs Burnett, "Alice Cooper: Flown the Coop", Ottawa (X)Press, 9 October 2008: "I'll be honest, I go from Democrat to Republican. I vote for the person, not the party." In 2008, Cooper received publicity for positive statements about Sarah Palin. Hollywood Walk of Fame Corner of Hollywood Blvd. & Orange Dr.